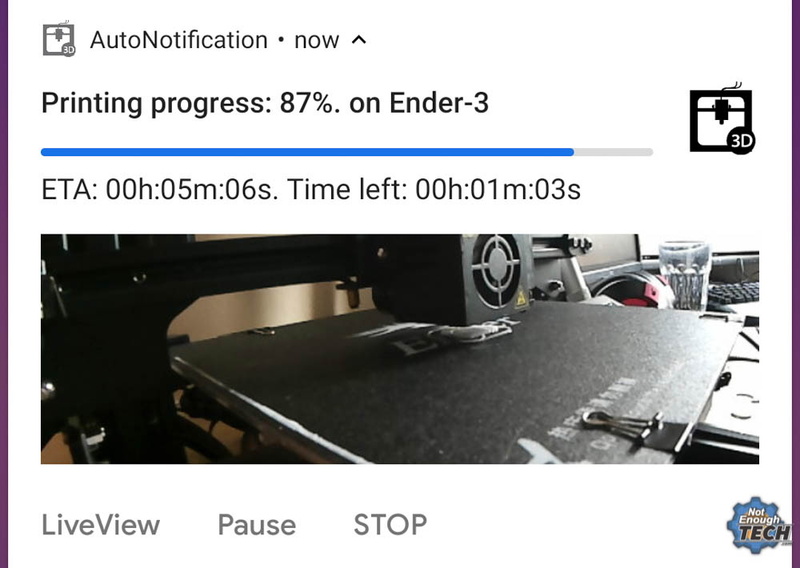 Anyone with a desktop 3D printer knows that it can be a bit nerve-wracking to leave the machine alone for any extended period of time. Unfortunately, it’s often unavoidable given how long more complicated prints can take. With big prints easily stretching beyond the 20 hour mark, at some point you’re going to need to leave the house or go to sleep. We hope, anyway. 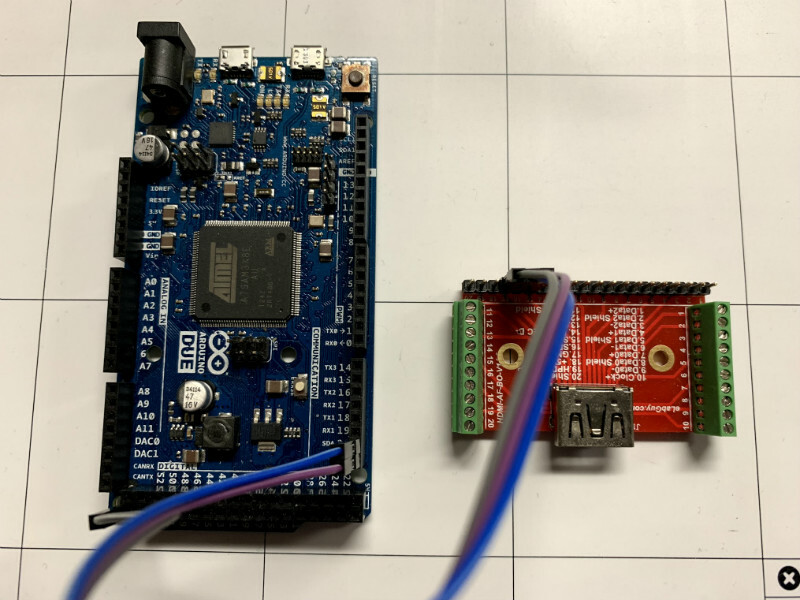 In an effort to make his time away from his printer a bit less stressful, [Mat] from NotEnoughTECH has put together a comprehensive framework for monitoring his machine on the go. After looking at existing remote monitoring solutions, he found none gave him the level of information he was after. His system collects up an incredible number of data points about the printer’s current status and pushes it all to his Android phone as a rich notification. Best of all, he’s documented the entire system in exquisite detail for anyone else who might want to follow in his footsteps. There’s a considerable amount of hardware and software involved in this system, and getting it up and running won’t be quite as straightforward as using some of the turn-key solutions out there. Octoprint is responsible for controlling and monitoring the printer, and [Mat] is pulling data from its API using Node-RED. That data is formatted and ultimately delivered to his Android device as a notification with Tasker. On the hardware side he’s got a Sonoff POW R2 to not only turn the printer on and off but measure its energy consumption, a USB camera to provide a live view of the printer, and a couple of Raspberry Pis to run it all. Even if you don’t have a 3D printer, or maybe just don’t leave the house to begin with, the video [Mat] has put together after the break that shows how all the elements of this system are pulled together in Node-RED is a fascinating look at the flow-based visual programming tool. Similarly, it’s a great demonstration on how Tasker can be used to add some very slick Android notifications for your project without having to commit to developing a native application for the platform. If you like the idea of remotely monitoring your printer but aren’t ready to dive into the deep end like [Mat], there are easier options. With a Raspberry Pi running Octoprint added to your 3D printer and one of the existing mobile monitoring and control front-ends installed, you’ll be well on the way to tackling those big prints without having to pitch a tent in the lab. Unwilling to go full [Geordi La Forge] to be able to visualize RF, [Ken Kawamoto] built the next best thing – an augmented-reality RF signal strength app for his smartphone. Built to aid in the repositioning of his router in the post-holiday cleanup, the app uses the Android ARCore framework to figure out where in the house the phone is and overlays a color-coded sphere representing sensor data onto the current camera image. The spheres persist in 3D space, leaving a trail of virtual breadcrumbs that map out the sensor data as you warwalk the house. The app also lets you map Bluetooth and LTE coverage, but RF isn’t its only input: if your phone is properly equipped, magnetic fields and barometric pressure can also be AR mapped. We found the Bluetooth demo in the video below particularly interesting; it’s amazing how much the signal is attenuated by a double layer of aluminum foil. [Ken] even came up with an Arduino with a gas sensor that talks to the phone and maps the atmosphere around the kitchen stove. The app is called AR Sensor and is available on the Play Store, but you’ll need at least Android 8.0 to play. If your phone is behind the times like ours, you might have to settle for mapping your RF world the hard way.